- Beginning October 14th, middle school youth group will meet Sunday evenings from 6:00-7:30pm in the Christian Life Center. We will support youth faith formation with age appropriate activities, small groups, bible readings, and more. -Confirmation will be part of the middle school youth group time. 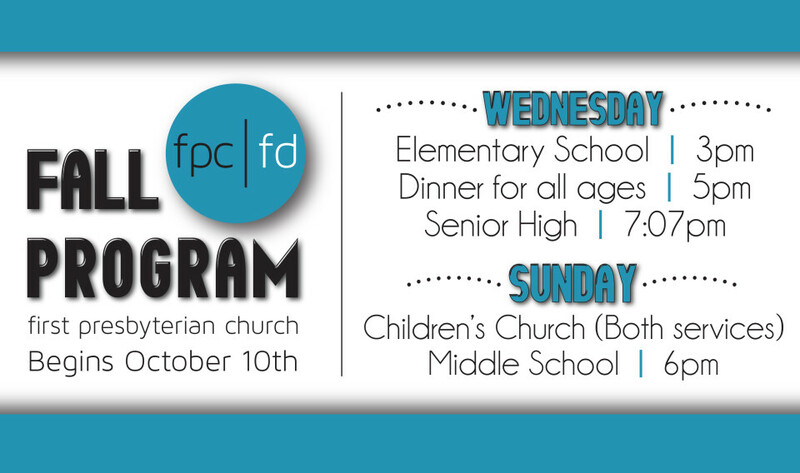 Weekly content will be offered to 8th graders in a small group setting. There will be a confirmation retreat TBD and the students will meet with their Covenant Partners throughout the year. Each 8th grader will become a member on Sunday, April 28 if all requirements are fulfilled. Please fill out and return the medical release form for each child HERE.